It's a little late, but Dr.Do and Dr. Choy had a terrific annual meeting at the Honolulu Convention Center which happens roughly every ten years. They attended classes ranging from cosmetic dentistry, orthodontics, and implant dentistry to keep up on the newest techniques. 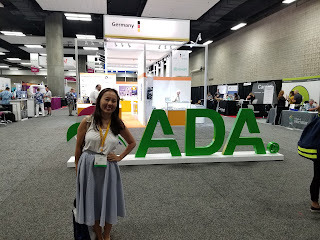 They also walked around the exhibit hall to try out the state-of-the-art equipment available to keep our dental practice on the cutting edge of technology.